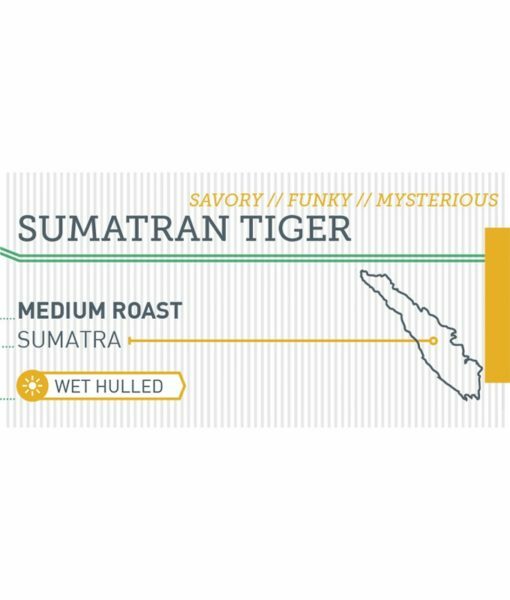 Like the Sumatran Tiger, coffees from this region in Indonesia can be difficult to tame. This beast of a cup will exhibit a strong and heavy body, with a distinct acidity. It is savory yet funky and carries a mysterious and intriguing finish that leaves you wanting more. Giling Basah is a newly adopted term describing the unique processing method used in this region. The coffee cherries outer skin is removed from a wet hulling machine and the green bean is stored for up to a day with the mucilage coating still on. The coffee is then sent to a processing facility where the mucilage is washed and the coffee is fully dried.